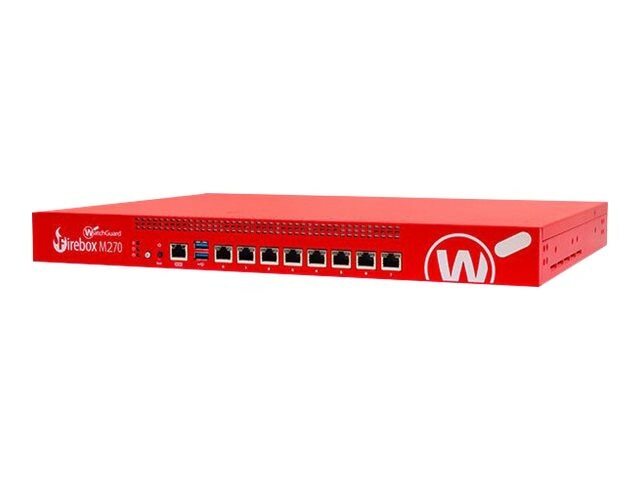 WatchGuard Firebox M270 appliances combine strong security, high performance, and flexible management tools in one affordable solution for small and midsize businesses and distributed enterprises to provide comprehensive protection against cyber crime. The M270 delivers firewall throughput of 4.9 Gbps to keep traffic moving, with the best UTM throughput in its class – up to 1.6 Gbps – even with strong security enabled. Includes 8 1G ports. Flexible management tools give administrators access to security capabilities from an intuitive console, scriptable CLI, and web UI. WatchGuard Dimension provides real-time visibility into network activity and security events, is included at no additional cost.